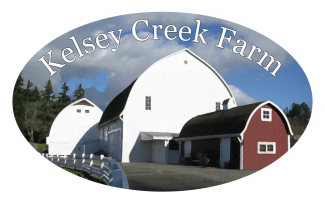 Join us for a day at the farm on April 27th, 2019 from 11:00 am until 4:00 pm for our annual Sheep Shearing event at Kelsey Creek Farm. Watch as we give the sheep their yearly haircut, enjoy sheep herding demonstrations by Brian Ricards, participate in hands-on activities with wool from our sheep, and watch fiber demonstrations by Northwest Regional Spinners Association. For even more fun, go on a pony ride, take part in hands-on history activities by the Eastside Heritage Center, meet some the Kelsey Creek 4-H Critters, ride on a tractor-pulled wagon ride, and enjoy Pioneer Popcorn, Buns on Wheels, and Cascade Honey. Admission is free, some activities have nominal fees. There is no ATM onsite and some vendors only accept cash. Parking on site is extremely limited, shuttle service available from Wilburton Park and Ride and Bannerwood Sports Park. Pets are not allowed in the barnyard area or on the shuttle. For more information visit https://parks.bellevuewa.gov/community-centers/kelsey-creek-farm, email us at KelseyCreekFarm@bellevuewa.gov, or call us at 425-452-7688.